The holiday and gift giving season is upon us, and if you are looking to spread a little joy and happiness this holiday season, how about spreading your love to sewing and introducing someone you know to the delight of creating their own clothes, bags and home decor items. Sewing is no longer seen as old-fashioned thanks to TV programs such as Project Runway and the Great British Sewing Bee. More people are interested in sewing and looking to learn, improve and create with fabric than ever before. 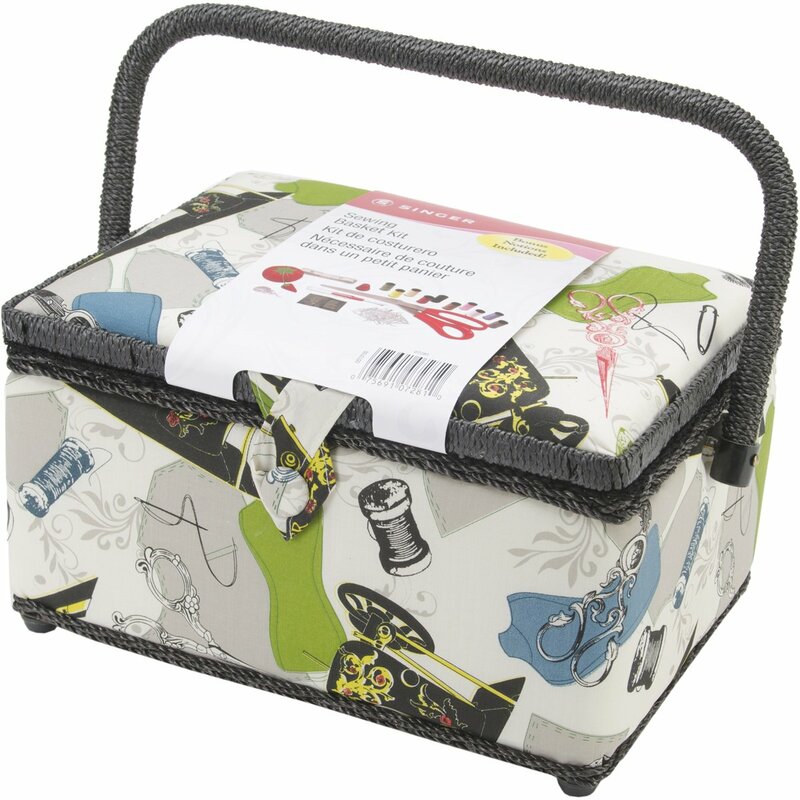 Here are a few ideas for making up a starter sewing kit, ideal for Christmas or birthdays. 1 – Sewing machine. It's true, you can hand-sew many things when you start out, but if you really want to feel the love for sewing, then you'll need a machine to get best results and see your projects sew up quickly. When someone is starting out, it doesn't have to be anything fancy, but at the same time be wary of the machines that look like toys – they are rarely sturdy enough for long term use or thick projects like bags. Chose a machine that will grow with the sewer and have all the features that they'll need going forward. 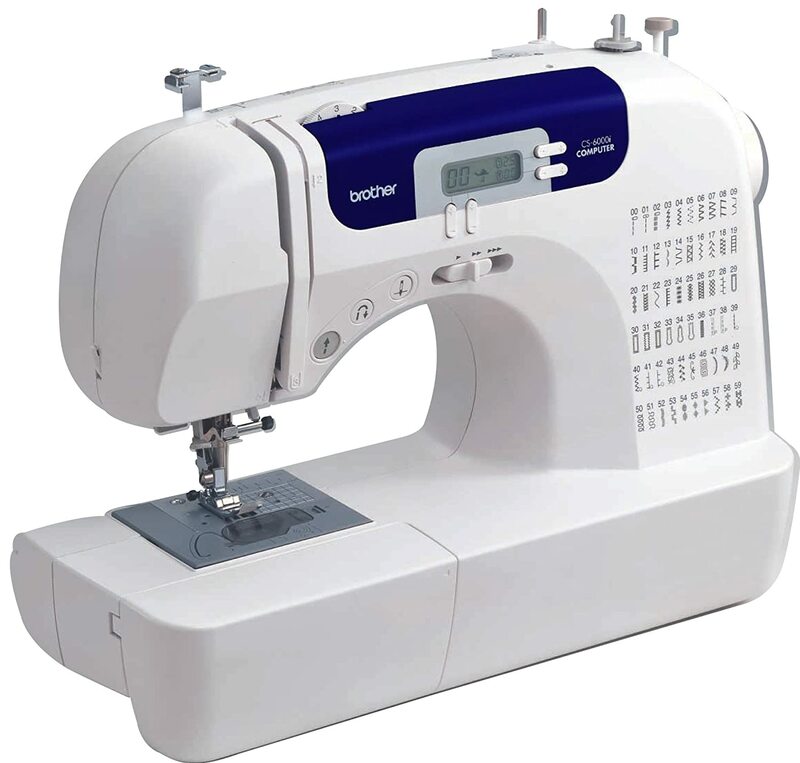 Check out our earlier article on Must Have Features for your Next Sewing Machine. This machine has been the best-seller on Amazon with the best reviews for some time. Check out the accessories, reviews and readers comments to see if this one is the right one for you. Of course, it can be rewarding to add in a few nicer bits and pieces as well, to bring a little extra fun to sewing such as some Wonder Clips, or a really good pair of sewing scissors. 3 – A sewing box. If you've been sewing for a while you may have accumulated lots (and lots) of tools and accessories to make sewing easier, quicker or get a better finish. 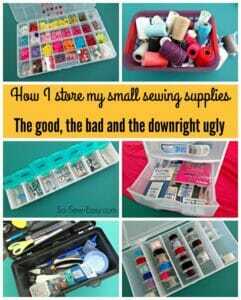 I'd need a crate for mine, but for a beginner, a cute sewing box is perfect to hold all the essentials and get them started. This one has a lovely vintage style sewing fabric and also comes complete with some sewing basics too. 4 – Fabric! For beginners, a supply of quilting cotton in bright colors is a great place to start. Avoid fabrics that look awesome but are more difficult to sew such as slippery fabrics, those that are very stretchy or very thin, or need special or careful handling while sewing. 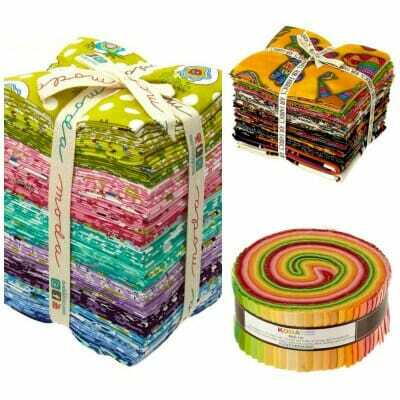 No one wants to get disheartened if a project is too challenging too soon, so how about a fat quarter bundle, or a jelly roll. Fabrics are ready co-ordinated, perfect for making smaller projects and easy to sew. 5 – Sewing Projects. Everyone needs to start somewhere and running before you can walk is a sure way to stumble. 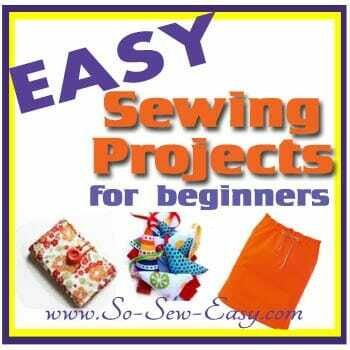 Here is a list of some easy sewing projects for beginners for ideas and inspiration, many of which are perfect for scraps or smaller pieces of fabric. There are even free patterns for simple clothes that a beginner can easily tackle thanks to the step by step instructions provided. Print out some instructions and made them up a project pack with the materials they need to get started and you could be having sewing success by Christmas afternoon. 6 – Sewing Lessons. 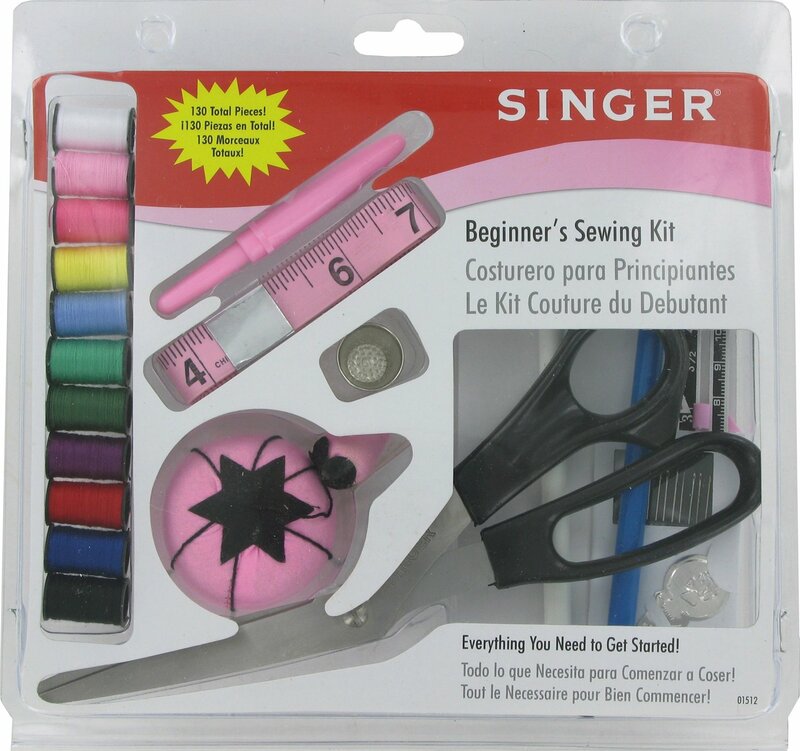 There are so many great options for sewing lessons these days. Don't just drop the equipment and materials and run – support the new sewer with personal sewing lessons if you're local. It's fun to sew together, share your knowledge and give tips and encouragement along the way. If you aren't local, or time doesn't permit, then you can also give a Sewing Lesson Gift Certificate. With Craftsy, you can buy a class gift certificate which covers any class, so the new sewer can decide where they want to start; easy quilting, their first skirt, or with a wide variety of essential skills. Giving the gift of your time and experience is often more valuable and more appreciated than the gifts themselves. 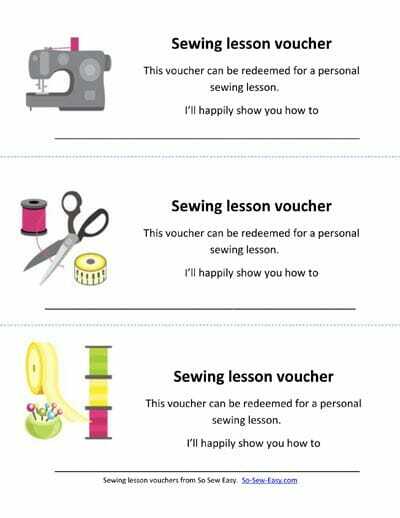 Why not print off and include some of these sewing vouchers to promise your time for a personal sewing lesson on suitable subjects such as how to sew a zipper, or how to read and cut a pattern, or just how to get started with threading the machine! And of course you can gift a variety of sewing books, both in traditional and in e-book formats. 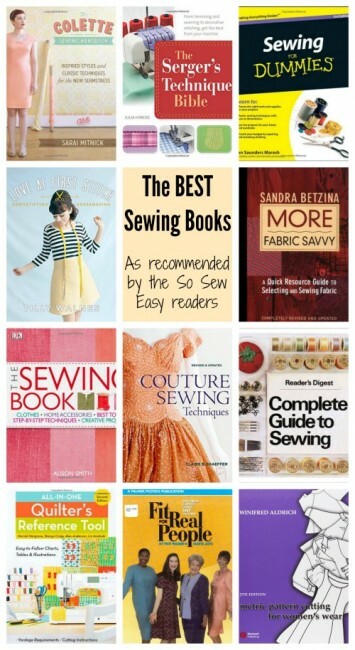 In this article the So Sew Easy readers share with us the best sewing reference books on their shelves. So that's a whole lot of ideas on how to spread your love of sewing to others for this holiday season. It need not cost a lot to get started, just use the sewing vouchers to gift your time, but you could be keeping this important craft going for generations to come. Who knows where something like this could lead? This is great, I like the vouchers! Ooh! Thanks for the great idea! I’m doing this!